March 30th marked mothers’ day in England; I tried to be first in line amongst all my siblings in wishing my mum happy mother’s day. I wanted to be favourite child of the day. She tells us all we are her favourites, we all know this, but we like hearing her say it to us, out of earshot from the rest of the “gang”. The gang being my brother and two sisters. It makes us feel special, we love plotting with her, she is the best baddie and hero combined. It’s always been like this, all of us, always trying to win her over. Make her love us more, even though she tells us she loves us more than we know. She is very good at this motherhood thing, bending us to her will with soft sweet words, scolding us without uttering a word, making us feel safe from thousands of miles away. And praying for us. My mum is a champion prayer mistress. I think she may have been a priestess in all her past lives. She will call on all the Gods to protect us and smite our enemies. We’ve told her we don’t have any enemies’ worth smiting, to which she asks what about a teensy bit of smiting? For any potential new enemies? Enough to warn them that we have smiting powers and will use it if provoked. If she feels her prayers are not being heard because God is busy running the world, she doubles her efforts. We joke that she presses the redial button until God himself comes thundering down. She is a force to be reckoned with. She makes us laugh, all the time. She is fearless; we all got that trait from her, the inability to back down in defeat. She made us into her warriors. We love her. My mum is more than a mother, she is our friend, our ideas person, she is extremely savvy and street smart. This meant we had to find creative ways to be naughty growing up, which only served in fuelling her imaginative mind in inventing even more creative ways to punish us. She made us smart. We were never able to pull the wool over her eyes. Always one step ahead of us. We are convinced she reads minds. She also tells the best baddass stories; she does growling sounds of lions and scary voices of monsters and sing-songs of birds. She told us stories in the candle light or in the dark for added drama. With all of us huddled on either side of her, listening eagerly, not wanting to miss a word she says. She made me love stories. She is full of love. She has adopted more children than Madonna and Angelina combined. She takes on new sons and daughters and adds it to her “gang”. She made us kind. 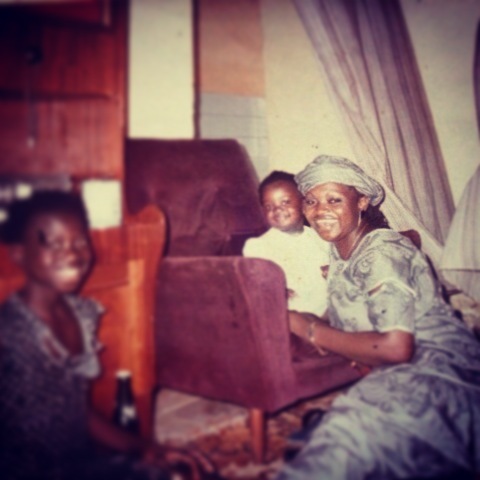 However, under all that gentleness is also what I will call a “Proper African Mama”. You mess with her; she will show you how to rumble in the mud. Simple. My mother counts to so many people, to my brother, my sisters, my cousins, my gran and granddad, her colleagues, her friends, her family, her adopted sons and daughters, even strangers. She is one person, cementing so many lives together. Every mother should have the opportunity to count like this. I urge you to support the Every Mother Counts campaign; they are a non-profit organization dedicated to making pregnancy & childbirth safe for every mother. Please support them. 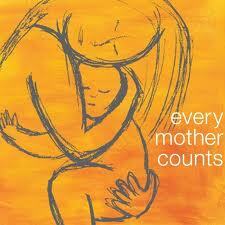 Every single child should have a mother to count on. Because mothers run this world. This article’s contributor is Fatou of Cinch Writing, please check them out for all your writing, editing, speech writing, proof reading and more.